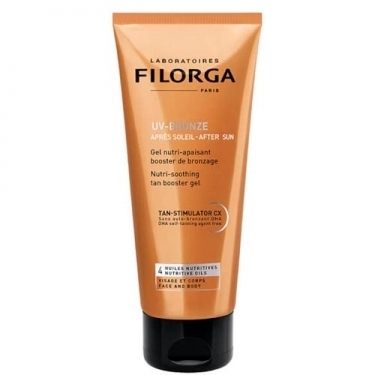 DESCRIPTION: UV Bronze After Sun Gel from Filorga is a triple-action post-action solar oil gel with a light and refreshing texture that calms the skin after sun exposure. 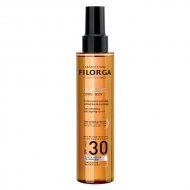 Enriched with a combination of four essential oils (Argan, Damascus, Almond and Avocado), with Hyaluronic Acid and a complex of amino acids, the formula nourishes and intensely moisturizes the skin while the Tan Stimulator Complex prolongs the tan's brilliance. Can also be applied morning and evening for longer lasting results.